All Year 5 pupils in Jersey schools are being offered free outdoor swimming and water safety sessions as part of the Swim Safe campaign. 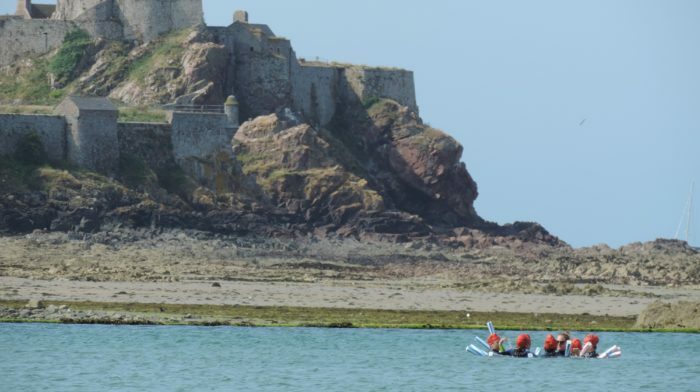 The scheme is being delivered in Jersey this month, thanks to a partnership between Swim England, the RNLI, the Bosdet Foundation and Jersey Sport. It teaches young people how to stay safe in and around the open water, and what to do if they get into trouble. 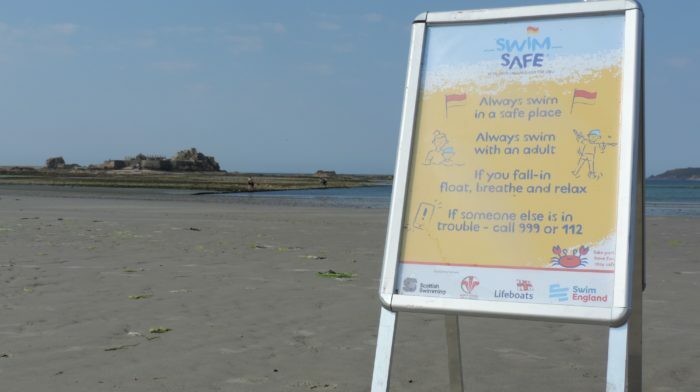 “Living in an island it’s extremely important that local children know the dangers of the sea and how to enjoy swimming outdoors safely,” said Martine Le Guilcher, Jersey Sport’s Swimming Development Officer. “Children love swimming outdoors, but swimming in the sea, rivers or lakes is very different to swimming in a pool, where most people learn,” added Charlotte Francis, Swim Safe Area Coordinator. 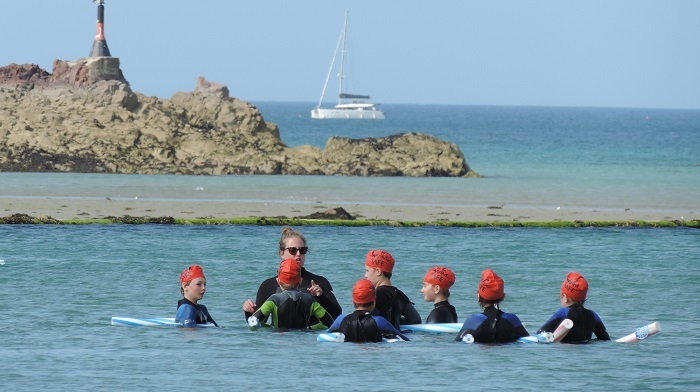 Alan Le Pavoux, Charity Manager at the Bosdet Foundation, said: “This is the fourth year that the Bosdet Foundation and Les Ormes have been supporting Swim Safe. We are very excited to be joined by Jersey Sport to help deliver to all Year 5 pupils across the island. “Working in partnership with the RNLI and Swim England helps to ensure that our children get the correct messages on how to stay safe in and around water. Our programme is one of the biggest, reaching nearly 90% of Year 5 pupils and it is attended by specialist school, Mont a L’Abbe, so it really is all inclusive.